Moulin Rouge! 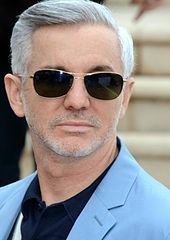 is a 2001 jukebox musical romantic drama film directed, co-produced, and co-written by Baz Luhrmann. 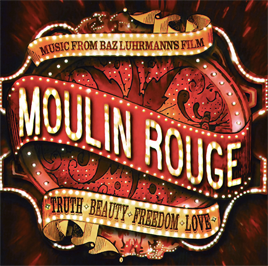 It tells the story of a young English poet/writer, Christian, who falls in love with the star of the Moulin Rouge, cabaret actress and courtesan Satine. It uses the musical setting of the Montmartre Quarter of Paris, France. 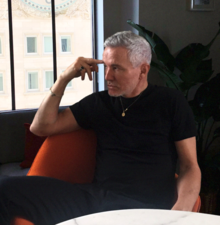 William Shakespeare's Romeo and Juliet is a 1996 American romantic crime film directed, co-produced, and co-written by Baz Luhrmann, co-produced by Gabriella Martinelli, and co-written by Craig Pearce. It is an adaptation and modernization of William Shakespeare's tragedy Romeo and Juliet. The film stars Leonardo DiCaprio and Claire Danes in the leading roles of Romeo and Juliet, who instantly fall in love when Romeo crashes a party and meets her, despite being members of feuding families. Brian Dennehy, John Leguizamo, Pete Postlethwaite, Paul Sorvino, and Diane Venora star in supporting roles. 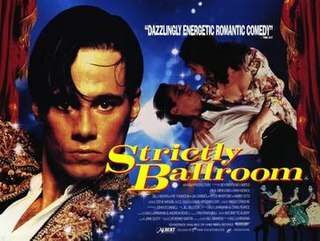 Strictly Ballroom is a 1992 Australian romantic comedy film directed and co-written by Baz Luhrmann. 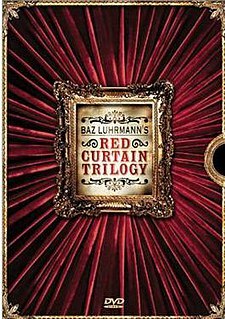 The film, Luhrmann's début, is the first in his The Red Curtain Trilogy of theatre-motif-related films; it was followed by Romeo + Juliet and Moulin Rouge!. Tara Morice is an Australian actress. 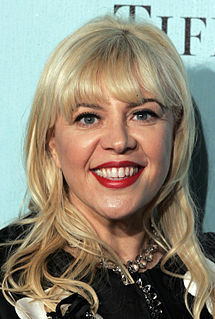 Catherine Martin is an Australian costume designer, production designer, set designer, and film producer. She won two Academy Awards for Moulin Rouge! in 2002 and another two for The Great Gatsby in 2014. Having won four Oscars, she is the most awarded Australian in Oscar history, having overtaken 1950s costume designer Orry-Kelly. Craig Pearce is an Australian screenwriter and actor. Eugenio Caballero is a Mexican production designer. He is best known for his work on Guillermo del Toro's film Pan’s Labyrinth for which he earned an Academy Award, Ariel Award, Art Directors Guild Award, Los Angeles Film Critics Association Award as well as Goya, Satellite, and BAFTA award nominations for Best Production Design. 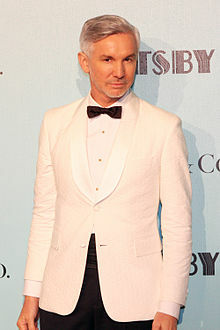 Something for Everybody is an album released by Baz Luhrmann in 1998. It contains new ambient versions of music from his films and plays, including hits from William Shakespeare's Romeo + Juliet, Strictly Ballroom and La bohème. The most popular single from the album is the spoken word song "Everybody's Free ".